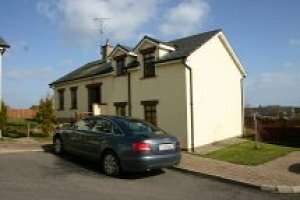 This beautiful semi-detached house is situated in a small development of privately owned houses, just a short walk from Rosslare Strand. It offers all the luxuries you would expect from a property of this standard with private parking to the front and a lovely quiet garden to the rear with a patio, garden furniture and a BBQ. 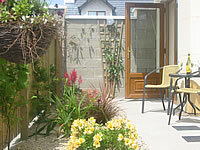 The house is on a lovely quiet road, within easy walking distance of all the local amenities, shops, pubs and restaurants. There are three bedrooms in this beautiful property. There is the master bedroom ensuite, one double room and a twin room ensuite. There is also a professionally converted dormer room which includes a bed settee and fold out bed so therefore this property can sleep up to 8 persons. There is a stunning modern kitchen / dining room, a separate sitting room with a cosy wood burning stove. FAIR USAGE POLICY: Rental includes 17 units of electricity per day. Excess will be charged based on electric Meter reading current unit price is .21cent per unit - this includes providers standing charges, public service obligation levy and VAT. A refundable security/damages deposit of €250 is required when checking in – this will be refunded on departure provided there are no breakages or damages. County Wexford boasts miles and miles of unspoilt golden strands and secluded coves. Rosslare Strand is a coveted Blue Flag and its golden sands stretch for miles. This is only about a 5 minute walk from #1 Seascapes. St. Helens Bay is an 18 hole championship course with fantastic views of the sea. Rosslare Golf Club is a links course beside the Irish Sea. The fairways and greens are watered giving an enjoyable playing surface during summer and winter months. Rosslare Strand, a popular holiday destination and even more popular for fishing, it is a haven for all fishing enthusiasts from shore angling to sea angling. The South East gives rise to bass, sea-trout and salmon. Surf and bottom fishing offers you Dabs, Flounder and Dogfish.